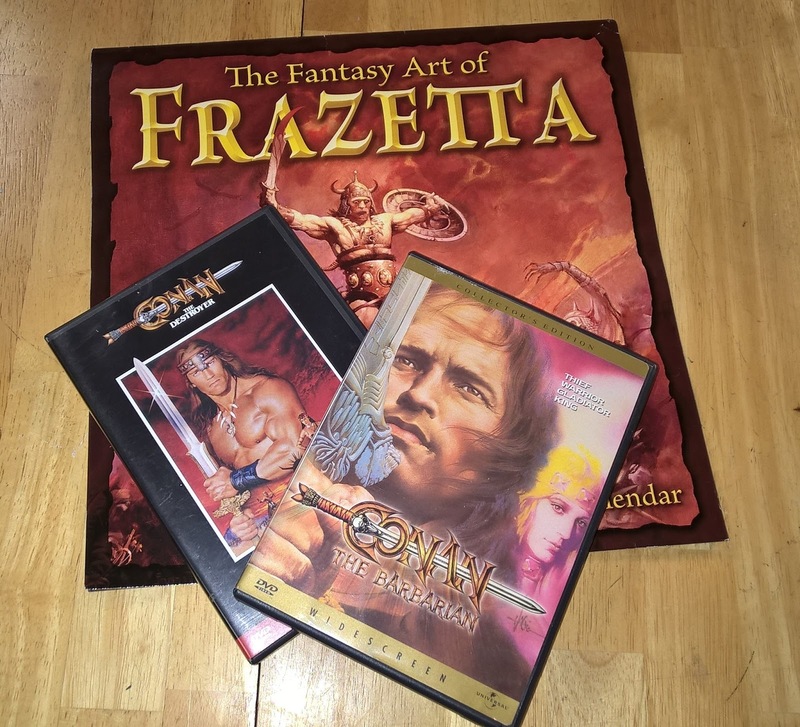 Well folks if you like your movies big, you came to the right place as we take a gander at the 1982 film version of Conan the Barbarian starring Arnold Swarzenegger. You will find that the music is big, the sets are big, the actors are big, and the weapons are really big! The film is visually stunning, you will have to give it that. The dialogue may be a bit stilted at times but you will have to have a look at the film for yourself sometime soon. In the meantime, join us and our guests Mike and Dennis (and Brigitte) as we revel in the glories that are Conan the Barbarian. Do you want to live forever? Of course how could we have forgotten.....To crush your enemies. See them driven before you. And to hear the lamentations of their women.